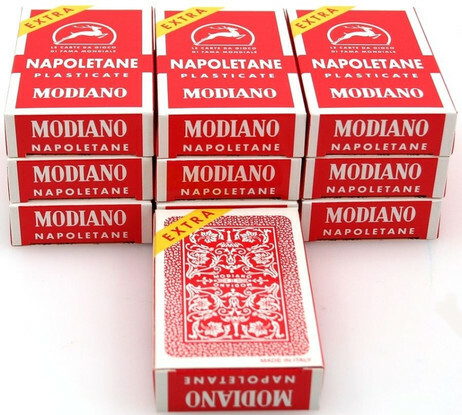 10 pieces of Napoletane SUPER 97/25 by Modiano. Playing cards from very hard carton. 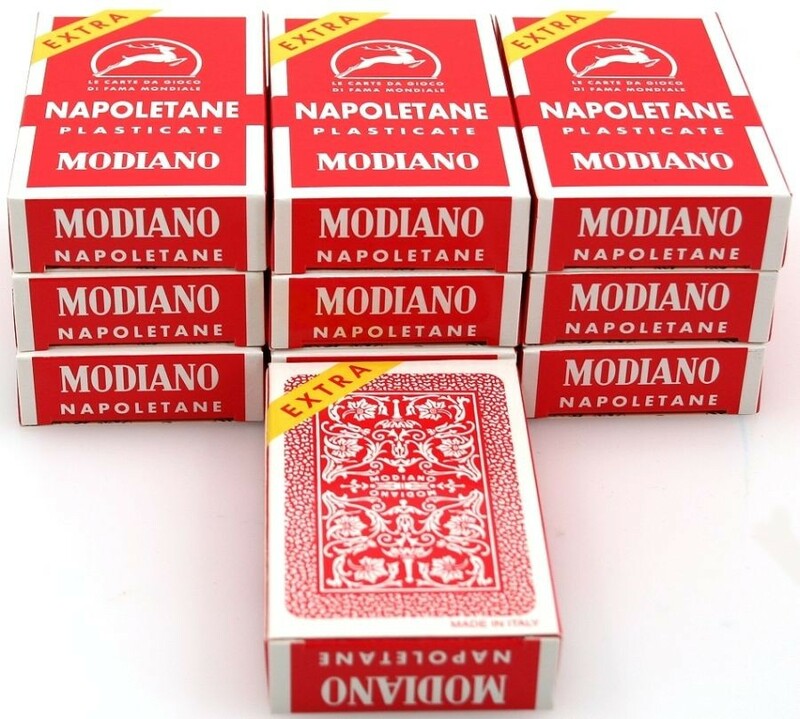 Each package 40 cards, italian picture, Size 83,5 x 51 mm, Top - cards manufactured in Italy.